When children leave the hospital after treatment for a serious infection, doctors sometimes prescribe antibiotics delivered intravenously. But new research suggests oral antibiotics can be as effective, with fewer complications. March 2017—As PCORI-funded studies produce results of interest to patients and those who care for them, we are updating the stories of those projects. Here is one such update. 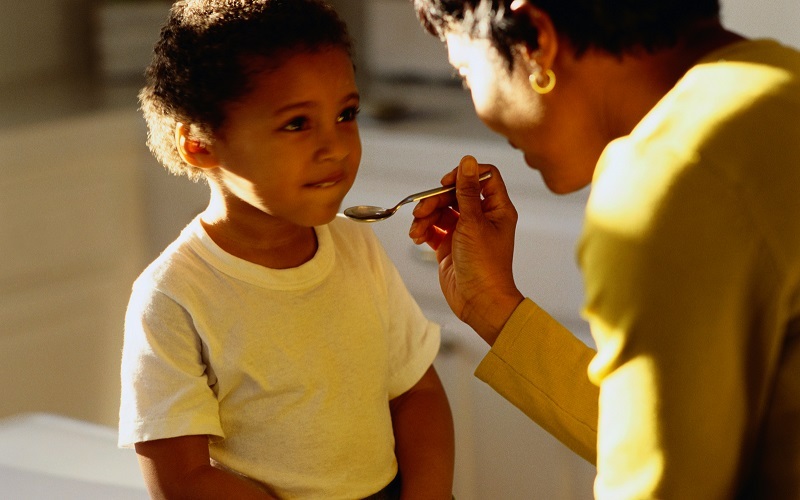 It’s good news for families of children treated for serious infections. Researchers have shown that once the children leave the hospital, giving them an antibiotic orally—which is simple to do and avoids complications—can be as effective as providing it through an intravenous line. Ron Keren, MD, MPH, a pediatrician at Children’s Hospital of Philadelphia (CHOP), and his team have now demonstrated that for three types of infections, children on oral antibiotics did at least as well as children receiving the medications intravenously through a PICC line, a peripherally inserted central catheter. In each approach, the child received antibiotics for several weeks. “The longer you have a PICC line in, the more complications are possible,” Keren says. The oral approach avoids problems such as infection, clotting, or displacement of the PICC line. These complications can all lead to visits to the emergency department or readmission to the hospital. The research team first looked at osteomyelitis, a bacterial infection in the bone (see original feature below). Keren and his colleagues have now also studied complicated pneumonia and perforated appendicitis. If you have an oral antibiotic that gets into the bloodstream easily, you can get the same treatment result as you would with a PICC line. The results of all three studies are now in, and the oral antibiotics approach is the clear winner. At the beginning of the project, the team needed to select which childhood conditions to study. “We were interested in infections that require long-term antibiotic treatment,” Keren says. Osteomyelitis and complicated cases of appendicitis and pneumonia came up the most often. For complicated appendicitis, oral antibiotic treatment was actually associated with fewer treatment failures: 5 percent versus 9 percent with intravenous antibiotics. Meanwhile, for complicated pneumonia, the researchers found the two treatments succeeded in about the same proportion of cases, failing in about 3 percent of patients. These two sets of findings complement the osteomyelitis study, which had found treatment with oral antibiotics to be as effective as PICC lines. The researchers studied only low-risk children, patients whose health profiles would not increase their risk of the oral antibiotic treatment failing. Conditions such as malabsorption, where a patient had difficulty absorbing food in the intestines, may make PICC lines the safer choice. “Doctors still need to use their clinical judgment,” Keren says. “If they are worried about the oral route not achieving a sufficient level of a drug in the blood, then they may opt for an intravenous route.” And for some uncommon infections, there may not be an effective oral antibiotic. Beyond CHOP, the researchers are planning to team up with the Children’s Hospital Association to see where PICC line use is decreasing and where there is still work to be done. The team wants to learn how to change practice in hospitals still prescribing PICC lines over oral antibiotics for a high percentage of patients with these infections. Keren says it will require a combination of educating physicians and health systems, observing physicians’ treatment practices, and providing feedback to health systems. Over the next few years, Keren expects the findings of the three studies to continue changing the patient and parent experience of long-term antibiotic use for serious infections, one family at a time. Each year, thousands of children in the United States get serious infections that are treated in a hospital with intravenous antibiotics. The antibiotics need to be continued for several weeks, but there usually is no need to keep the child in the hospital for all that time. When those children are ready to be released from the hospital, doctors face a choice. 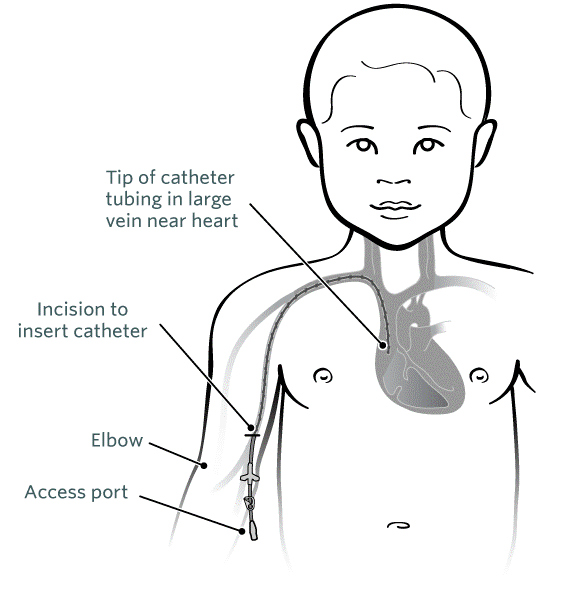 The child can be given a peripherally inserted central catheter (PICC) line, which lets parents administer antibiotics intravenously at home. Or the doctor can prescribe oral antibiotics. A PICC line is a long, thin tube that goes into a vein in the upper arm and ends in a large vein near the heart. PICC lines need special care and can lead to serious complications, including infections and blood clots. But doctors sometimes choose that option. 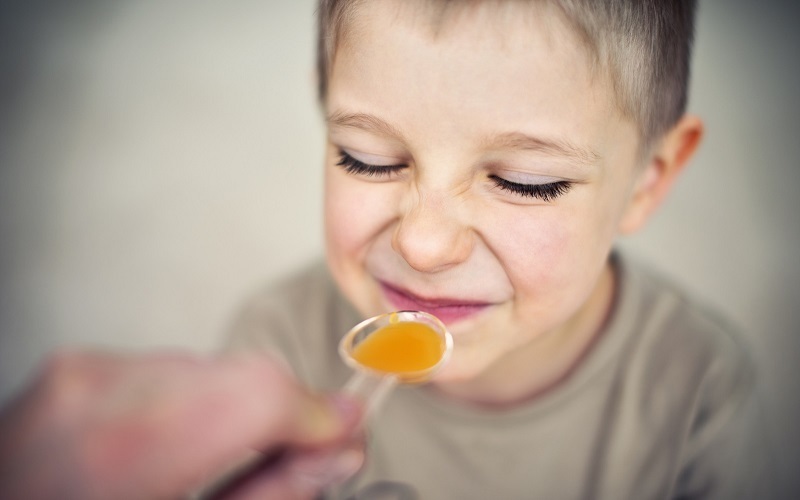 Ron Keren, MD, MPH, a pediatric hospitalist at the Children’s Hospital of Philadelphia (CHOP), says that a key reason for that choice may be lack of evidence as to the effectiveness of oral antibiotics as an alternative. Very few high-quality studies have compared the two approaches, he notes. To fill in that gap, Keren has undertaken a PCORI-funded project to learn how oral and PICC-delivered antibiotics stack up in treating three of the most common serious childhood infections: osteomyelitis, a bone infection; complicated pneumonia; and perforated appendicitis. He will be completing the project this summer. If a family has a choice of going home with a PICC line or without it, most would prefer to go home without it. For many years, the PICC line has been a common treatment when children go home from the hospital after a serious infection. PICC lines can remain in place for weeks or months. Antibiotics delivered straight into the blood near the heart are completely absorbed into the body, while the absorption rate for oral antibiotics varies, depending on the antibiotic. But PICC lines have drawbacks. Doctors must thread the line through an arm vein and guide its tip into a large vein where it enters the heart. Children often need to be sedated while the line is inserted. A child with a PICC line must keep it dry at all times, which means showering with a plastic bag and avoiding swimming pools. Young children have to be coached not to pull out the line. And the line can lead to complications—including further infection, blood clots, or even breakage and migration of the catheter tip into the heart—which can lead to re-hospitalization. Learning how to operate and maintain a PICC line adds stress for families already coping with a child’s illness. “It’s scary, because it’s a level of care that many families are not used to,” says Darlene Barkman, whose daughter had a PICC line, as part of leukemia treatment, when she was six years old. As a family consultant at CHOP, Barkman interacts with parents whose children have had PICC lines. “There are concerns of safety that the family has to keep in mind at all times,” says Barkman, who is one of the family partners on Keren’s project. To produce evidence that is useful to families and healthcare providers, Keren’s team examined data on more than 15,000 children under 17 years old who were treated for one of these infections at 43 major children’s hospitals between 2009 and 2012. On leaving the hospital, each child received either a PICC line or a course of oral antibiotics. Working with medical records from each of the hospitals, the team looked at how well the treatments countered the infections, and how often they landed children in the emergency room or back in the hospital. Barkman and another family partner helped the researchers design the research protocol, identify outcomes of interest to families, conduct the study, and report the results. Although Keren’s studies are not randomized controlled trials, the researchers used statistical matching to control for factors that might have influenced the results. “Although they are observational studies, we used some techniques to make sure we were comparing apples to apples when comparing the kids who received PICC lines to those who got their antibiotics via the oral route,” Keren says. Each child who received oral antibiotics was matched to a child at that same hospital and a child at another hospital, both of whom had received a PICC line. In the matching, the team considered factors including age, race, source of insurance, length of hospital stay, and type and location of the infection. “When we matched kids within hospitals and across hospitals, the results were pretty much the same,” says Keren. “There probably isn't much difference in the kids who get one treatment versus those who get the other." We owe it to our patients to feel very confident that the treatments we’re giving them will lead to the best outcomes with the fewest side effects. Because of Keren’s research, more families may soon be going home without PICC lines. The results of the team’s study on osteomyelitis found that oral antibiotics and PICC lines were equally effective at treating serious infections, but the children with PICC lines had three times the rate of complications from treatment as compared with the children who received oral antibiotics. The results were published in December 2014 in JAMA Pediatrics. This work could have an impact, Keren says. For example, he notes, the Pediatric Infectious Diseases Society, a respected scientific and clinical group, is preparing a new practice guideline on bone and joint infections, he notes, and is considering the findings of the PCORI study in developing its recommendations. “That’s important because a lot of physicians are afraid to change their treatment until a major medical society changes its guidelines,” he adds. PCORI is also offering a Continuing Medical Education (CME) and Continuing Education (CE) activity focusing on Keren’s findings on osteomyelitis. Keren and his colleagues are now compiling the results of their work on antibiotics in children with pneumonia and appendicitis. Once those findings are published, the team plans to collaborate with the Children’s Hospital Association to send reports and educational materials to hospitals to encourage them to switch their treatment practices when appropriate, sparing some kids the risks of PICC lines. Goal: Using information from a large database of children’s hospital patients, compare the effectiveness and safety of two methods for delivering home antibiotic treatment for serious bacterial infections.